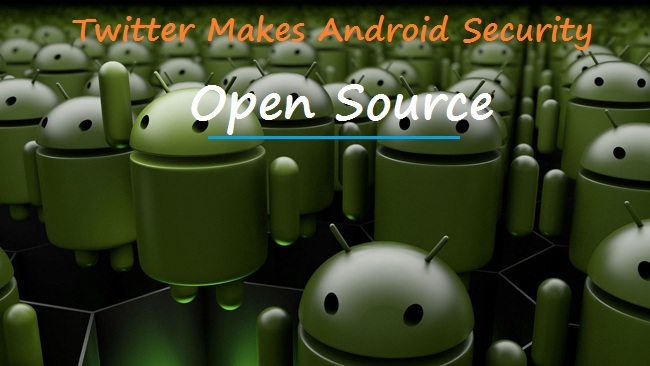 Twitter makes Android Security Open Source. Couple of months before Twitter bought Android security specialist Whisper System. Now this decision of Twitter will surely enhance the Android Security. With a view to opening the future growth of the branded "TextSecure" security software offering to the benefits of the community contribution model of software application development, Twitter is arguably playing a more mature hand in the global software market by making this move. To clarify, Twitter spent good money to acquire Whisper less than a calander month ago and might naturally have been expected to absorb the company's Intellectual Property into some deeper more granular level of its own product roadmap as a primary move. Instead, Twitter has opened up the biscuit tin and put it straight out on the dining table in time for coders to be able to feast and gorge for all they are worth. According to Whisper Systems web site, "TextSecure is a drop-in replacement for the standard text messaging application, allowing you to send and receive text messages as normal. All text messages sent or received with TextSecure are stored in an encrypted database on your phone, and text messages are encrypted during transmission when communicating with someone else also using TextSecure." Whisper has further posted a statement on its web site confirming that it has "always been interested" in the ability for individuals and organisations to communicate freely and securely. "In the year and a half since Whisper Systems launched TextSecure, we've received an enormous amount of thanks, feedback, and encouraging stories from users who have employed TextSecure towards those ends. We hope that as an open source project, TextSecure will be able to reach even more people, with an even larger number of contributors working to make it a great product," said the company, in a statement.